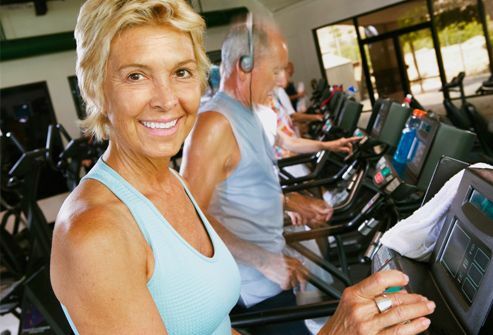 It's true: Exercise can help you feel better when you have rheumatoid arthritis. If you sit on the sidelines, you'll lose flexibility. Instead, get up and move to loosen up stiff joints, build muscle, and boost your fitness. In time, you'll feel stronger with less fatigue. If you're not active now, see your doctor first, so you know what activities are best for you. Choose exercises like stair climbing, walking, dancing, and low-impact cardio machines, like the elliptical trainer. They're better for you than activities that put stress on your joints, like running or playing basketball. To do: Exercise a few minutes each day, at first. Add more time as you can. 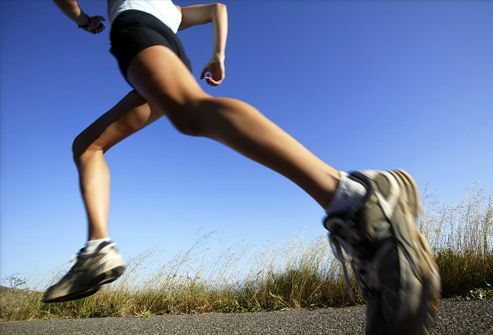 Keep a moderate pace and work out for 30 to 60 minutes most days each week. 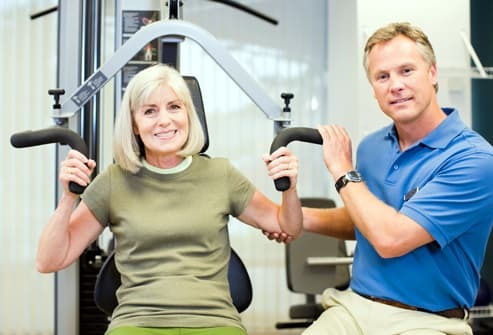 Do resistance exercises two to three times a week for stronger muscles, which will give your joints more support. You'll burn more calories, too. To do: Use elastic bands, free weights, or machines for resistance. Ask the trainer at your local fitness center, or your physical therapist, to show you how to do each move. 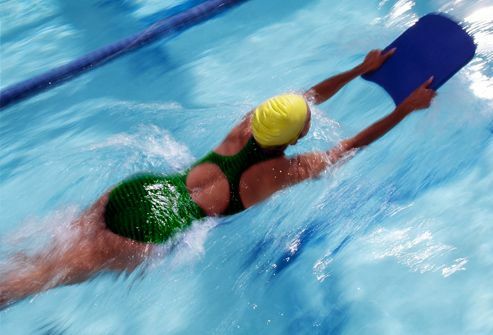 Swim your way to better fitness without straining your joints. The water feels good, too! To do: Begin slowly with a few minutes in a heated pool. Use a kickboard when you first start to get used to moving in the water. Gradually build to a goal of swimming 30 minutes at a time. RA makes heart disease more likely. That's all the more reason to exercise. It will make your heart stronger, cut your blood pressure, and improve your cholesterol level. There's another perk, too. Since your condition puts you at risk for bone loss, weight-bearing exercise like walking, dancing, and climbing stairs helps prevent osteoporosis. For these exercises, you tense the muscle, and then relax it. If someone was watching you, they wouldn't see you move at all. This kind of workout may be a better option if strength training makes your joints hurt. To do: With your arms at chest level, press the palms of your hands together as hard as you can. Hold for 5 seconds and then rest for the same amount of time. Do 5 repetitions. Slowly build up to holding the press for 10 to 15 seconds at a time. If it makes your joints hurt, ask a trainer to show you another type of isometric chest exercise. To do: Stand with your back against a wall and your arms at your sides. With your elbows straight, push your arms back toward the wall. Hold for 5 seconds and then rest. Repeat 10 times. If it hurts your joints, ask a trainer to show you another isometric shoulder exercise. It strengthens muscles that support your knees. To do: Sit on the floor or a bed with one leg straight and the other bent. Then tighten the thigh muscles of your straight leg as hard as you can and count to six. Relax, and then repeat. Do it with the opposite leg, gradually increasing up to five, then 10, then 15 repetitions, twice a day with each leg. If it hurts your joints, ask a trainer to show you another isometric thigh exercise. You'll move better if you make it part of your routine. Use moist heat or warm baths before and after stretching exercises to ease your pain and stiffness. 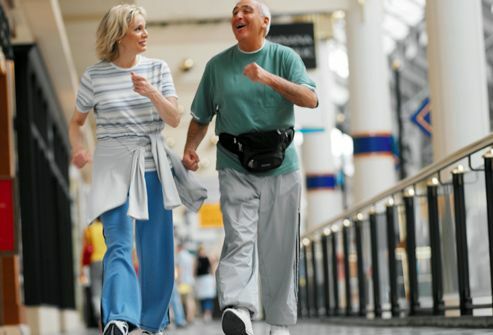 Warm up first with light aerobic exercise, such as walking for 10 minutes. Hold stretches for 30 seconds without bouncing or jerking. It should feel good. Keep it gentle, not intense. Tip: Use a towel to bridge the distance between your hands if you can't comfortably connect them. To do: First, make a fist. Then, open and extend your fingers as straight as possible. Repeat this exercise, gradually increasing up to 20 times, twice a day. To make it harder, squeeze a foam or sponge ball about the size of a tennis ball, then release and extend your fingers. To do: First, sit at a table or desk. With your left forearm on the table, let your left hand hang over the edge. Use your right hand to grab the fingers of your left hand and bend your left hand at the wrist, slowly moving it up and then down as far as possible without pain. Repeat with the opposite hand. Increase up to 20 repetitions, twice a day. To do: With your arm extended, parallel to the floor, position your palm face up. Use your opposite hand to grab hold of the fingers, and pull the palm of the extended hand toward the floor. Hold for 30 seconds. Now, do the same exercise, except this time turn your palm face down. Use the opposite hand to push the top of your extended fingers and hand down toward the floor. Hold for 30 seconds. To do: Sit or lie on your back on the floor or on a bed, feet slightly apart. With your legs and knees straight, turn your knees in toward each other and touch the toes of your feet together. Hold for 5 seconds. Now turn your legs and knees out, and hold for 5 seconds. Repeat this, gradually increasing up to five, 10, and then 20 repetitions, twice a day. To do: Face a wall and place your palms flat on it, one foot forward, and one foot back. Leave your heels on the floor and lean forward. You'll feel a gentle pull in the calf of your back leg and the Achilles tendon at the back of the ankle. Hold for 30 seconds. Do three repetitions. Then reverse the position of your legs and repeat. 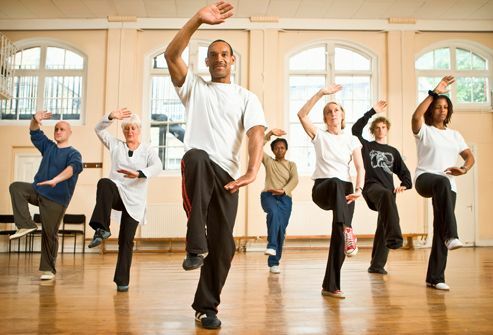 Have You Tried Tai Chi? It's great for your range of motion, flexibility, and balance. It's also meditative and peaceful, so it's a good way to relax. 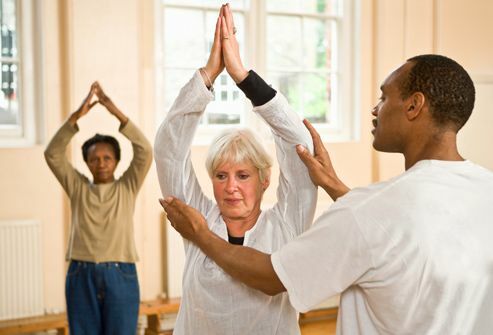 The Arthritis Foundation has videos and DVDs that can show you how to do it. When you jog, run, or play tennis on hard pavement, it can put too much stress on your joints. Lifting heavy weights may also not be the best form of exercise for you. Want a more intense workout? Talk with your doctor first to see what's OK for you to try. Pace yourself. When your symptoms flare up, you may need a little downtime. This doesn't mean bed rest, unless your doctor recommends it. When you stay off your feet too much, your muscles get weak and your joint pain can get worse. He can tailor your workout plan to meet your needs. Tell him about your RA and any limits you have. There are often ways to adjust an exercise so it's OK for you to do. American College of Rheumatology, Subcommittee on Rheumatoid Arthritis Guidelines. American Rheumatism Association, 2002. American Physical Therapy Association web site. Ruddy, S., Harris, E.D., Sledge, C.B., Kelley, W.N., eds. Kelley's Textbook of Rheumatology. 7th ed. Saunders, 2005. McIlwain, H.H. ; Bruce, D.F. The Super Aspirin Cure for Arthritis. Bantam, 1999. McIlwain, H.H. ; Bruce, D.F. Diet for a Pain-Free Life. Marlowe, 2007. McIlwain, H.H. ; Bruce, D.F. Pain-Free Arthritis. Holt, 2003. Riemsma, R.P., Kirwan, J.R., Taal, E., Rasker, J.J. Cochrane Database of Systematic Reviews, 2003.